The Emory, Harvard, and University of Washington Prostate Cancer Biomarker Center has received a $4.2 million grant from the National Cancer Institute's Early Detection Research Network to develop multiplex tests for detecting prostate cancer. 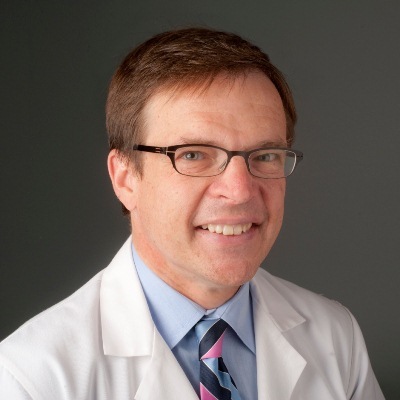 Winship member Martin Sanda, MD, chair of the Department of Urology, is the principal investigator of the multi-center collaboration. He is joined at Emory by Eugene Huang, PhD, professor of biostatistics and bioinformatics at Rollins School of Public Health; David Schuster, MD, director of the Emory Division of Nuclear Medicine and Molecular Imaging; and Carlos Moreno, PhD, associate professor of the Emory departments of pathology and laboratory medicine and biomedical informatics. This Emory team will partner with Daniel Lin, MD, chief of urologic oncology at the University of Washington, and Lorelei Mucci, MPH, ScD, associate professor of epidemiology at the Harvard School of Public Health, both of whom lead national prospective biomarker cohorts involving prostate cancer survivors. The combined group of esteemed researchers will work to confirm the ability of novel, Emory-developed detection tools to predict aggressive prostate cancer early on, thereby enhancing survival benefits of treatment and reducing the harm of over-treatment for indolent disease. The tools that will be evaluated include a urine test that assays over 200 prostate cancer associated genes, and FACBC positron emission tomography for identifying unknown primary tumors in high risk, localized prostate cancers. Michael Zwick, PhD, director of the Emory Integrated Genomics Core, and Madhuri Hegde, PhD, executive director of the Emory Genetics Laboratory, will participate in the urinary genomic evaluation.